The van seems more stable, especially on turns. Rev. 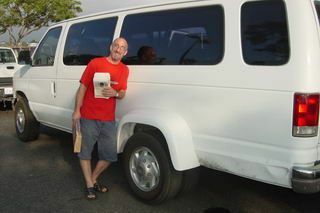 Scott Smith of Trinity Christian Fellowship Church in Chandler, Ariz. retrofitted his Ford E-350 van with dual rear wheels retrofit for about $2,100, which included four new tires, plus a spare, an adapter kit and the fenders to cover the tires. “The van seems more stable, especially on turns,” Scott Smith said. The Rev. Smith said his church used to use its van for all trips, in town and out, until his niece was killed in a Ford E-350 15-passenger van. “We started using it less and less,” he said. “It made us very nervous to carry kids in it.” Scott believes the dual rear wheel retrofit will save lives. 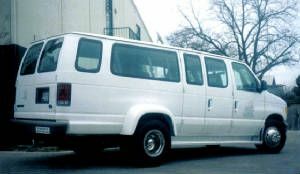 Public Citizen, a consumer advocacy group, has asked congress to force manufacturers to include dual rear wheels on all 15-passenger vans. Click here to view a Public Citizen report on the dual rear wheel solution (PDF). The UK and Canada require dual-rear wheels on vehicles that transport more than 10 passengers. The U.S. has no such requirement. In fact, up until 2006, the vans were NOT required to be tested at all. Based on the feedback we’ve received from those who have retrofitted their vans, Van Angels believes the retrofitting of an existing van to be a viable solution. We know of no rollover accidents for dual-rear wheeled 15-passenger vans. WARNING: A van is a complete system. Therefore, changing one part of the van may affect the performance in other areas. For example, adding dual-rear wheels will increase the load bearing and increase rollover resistance. A dual rear-wheel van will handle differently in snow and icy conditions than a van equipped with single rear-wheels. 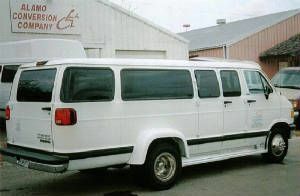 NOTE: The testing conducted on the 15-passenger van dual-wheel conversions illustrates the improved stability. 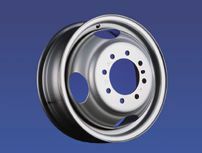 A study referenced by Safetyforum.com in April ’02 illustrated that placing dual wheels on the back axle of the 15-passenger vans made them much more stable than stock vans. The “Heitzman” J-Tturn Test demonstrated how easily the loaded stock vans rolled-over in emergency maneuvers, and how much more stable the same vans were with the dual-wheel conversions. 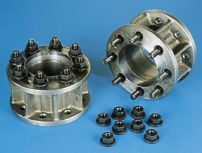 First, you will need the rear wheel adapter kit from ArrowCraft, (248) 280-0210. You will order the adapter that is made for your van. WARNING: Some 1997 Ford 15-passenger club wagons have 7-bolt pattern wheels instead of the normal 8- bolt pattern. Arrowcraft does not have adaptors and wheels for 7-bolt pattern and they do not know of any company that does. Second, you will need 4 steel dual wheels from ArrowCraft. You will also want to purchase a spare (see options below). Optionally, you can purchase a front wheel adapter kit from ArrowCraft, and three additional wheels (two front tires + spare). This means you will be replacing all six (6) wheels + spare wheel and seven (7) tires on the van. The advantage of this option is that you will only need one spare tire. NOTE: The wheels & tires used on a dually are slightly narrower than the stock tires sold on the van. Step 2: Buy the tires and install the adapter kit, wheels, and tires. You need to buy five (5) tires that are: 225/75 R16, Load Rating E. These tires are narrower than the stock tires (245/75 R16) and have a heavy duty rating. They are narrower, because you are using two tires instead of one and there is a narrow gap between the dual-wheels. NOTE: If you optionally choose to purchase the front wheel kit and wheels, you will need to purchase 7 tires in total. NOTE: The front wheels don’t need to be replaced. Replacing the front tires is optional. The advantage of replacing all 7 tires is that they can be rotated normally and you only need one spare tire instead of a spare for the front tires and a spare for the rear tires. The only disadvantage to replacing the front tires is cost. The place where you buy the tires should be able to mount the kit and install the tires on the wheels as part of your tire purchase. It’s pretty straightforward installation. NOTE: You will now have two (2) different spare tires. One for the front tires and and for the rear tires. They WILL be different sizes. ALSO, you will no longer need to the two wheels/tires that you replaced on the back of the van. You can save them as spares for the front wheels/tires. NOTE: The new wheels/tires will extend 18″ beyond the wheel wells. You need the fender flares to prevent rocks from kicking up into your mirrors and windows. The body shop will have to cut out a portion of the stock wheels wells and then bolt the new fender flares on the inside & outside of the existing wheel wells. Then, they will have to paint the wheel wells to match the color of the van. Most likely, you will have to leave the van overnight for the body shop to complete this procedure. Another retrofit option is to put on a Timbren rear load stabilizer (part #FER35092LB(Ford E-350) part#DVR350R (Dodge 350)). cost will vary depending on where you buy them from, a person can get on www.timbren.com and contact them for a distributor near them. You could use mud flaps for front and rear. Front to save the new fender and rear to be nice to whoever might be following you. In Oregon, commercial vehicles have to have anything above 10″ of tread on the rear wheels covered. Our fender were designed with the mud flap in mind. These mud flaps are available from CoachCraft Industries, the same company that sells the fender flares. They are located in Oregon. Phone number is: 800-776-5960. The following companies have experience with van conversions and can help with the entire process. 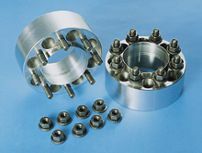 However, the wheel adapter kits are designed to be installed by any tire shop. Our suggestion would be to try a smaller tire shop that is willing to install the adpater kits for free in exchange for your tire business. After all, you are potentially buying 7 new tires from them. The fender flares will have to be installed by a body shop, since it does involve some cutting of the existing fenders, riveting, painting, etc. As we find out about more auto shops with van conversion experience, we will update the above list. If you are a retrofit shop that has experience with dual-wheel retrofits or you have know of any shops with retrofit experience, please contact me at mark@vanangels.com to be added to the above list.